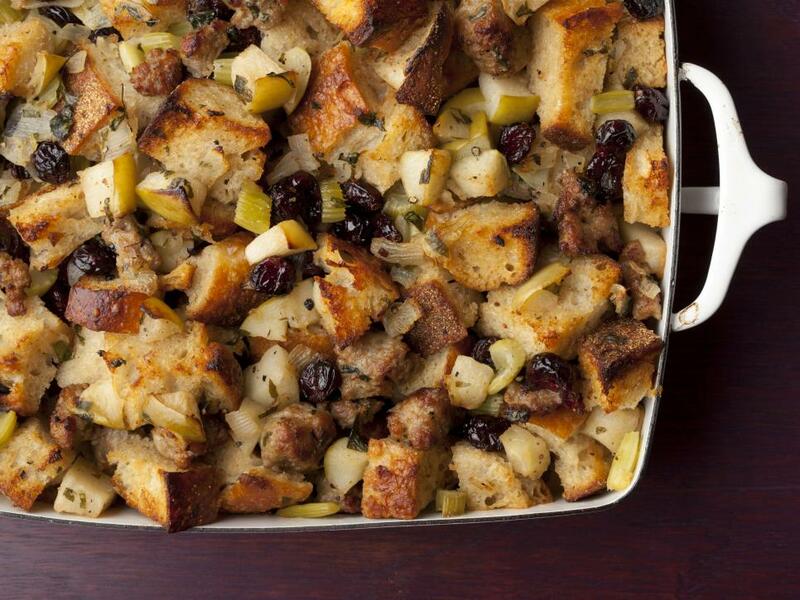 From basic stuffing to cheesecake, find out which recipes are hits for Thanksgiving across the country. 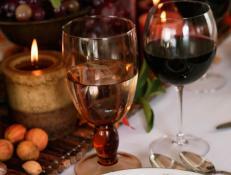 Some Thanksgiving dishes are cross-country staples – pumpkin pie, stuffing and of course, turkey recipes are popular in every state in November. But the all-American feast also shows off regional variety. 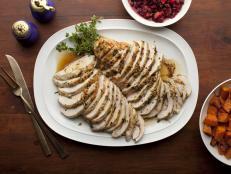 We dug into the Thanksgiving recipes that are uniquely popular to specific areas. Some are local specialties, while others are more classic recipes in our arsenal that are especially beloved by certain states. 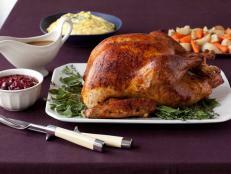 Read on to find out what Thanksgiving recipe ranks highly in your neck of the woods; it may surprise you. 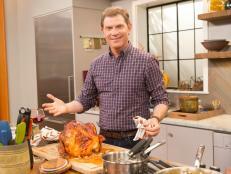 Food Network fans from Alabama flocked to a Southern favorite for their Thanksgiving spread. 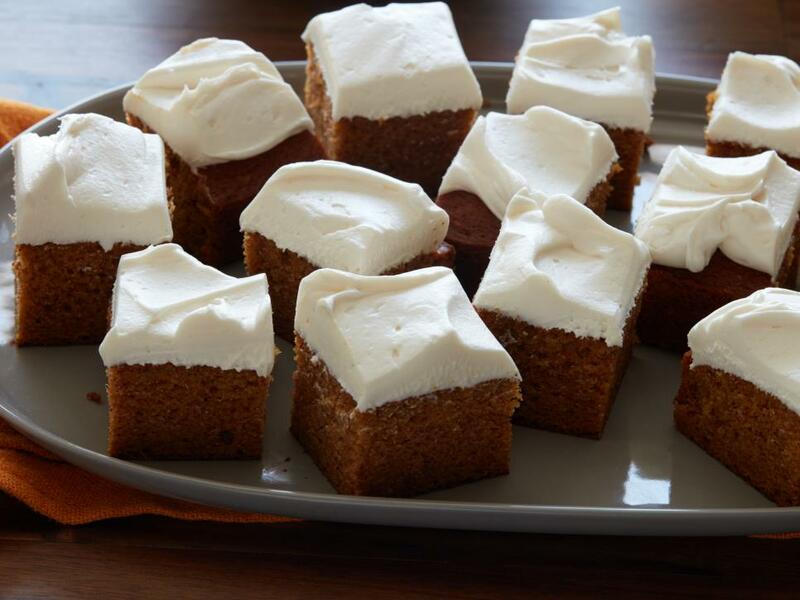 This triple-layer rendition is super moist and slathered in traditional sweet and tangy cream cheese frosting. 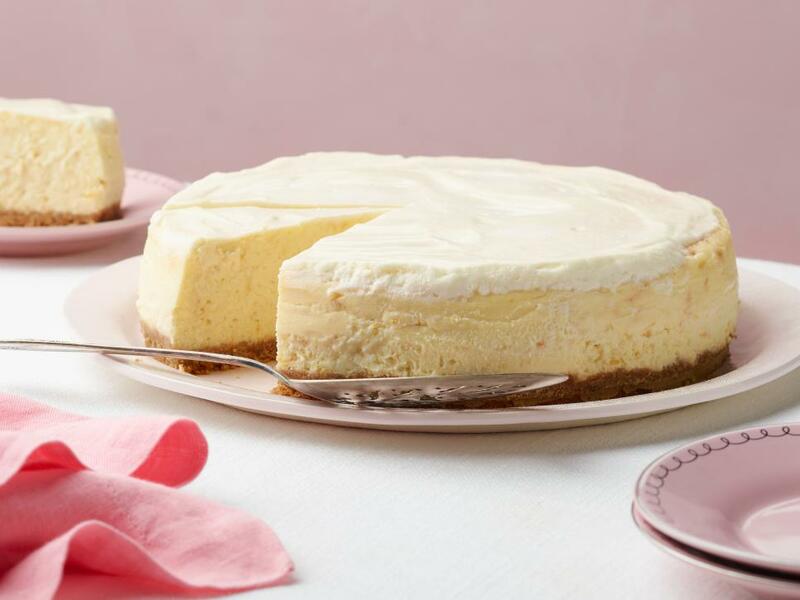 Coast to coast, cheesecake is an American favorite. That's true even way up north in our 49th state, where Food Network Kitchen’s Classic Cheesecake recipe is highly ranked in November. This simple, creamy version is indulgent enough to satisfy the connoisseur and straightforward enough to please traditionalists. The residents of the Grand Canyon State opted for a no-fuss turkey that requires little attention -- perhaps to give them more time to spend outdoors enjoying the warm November Arizona weather. 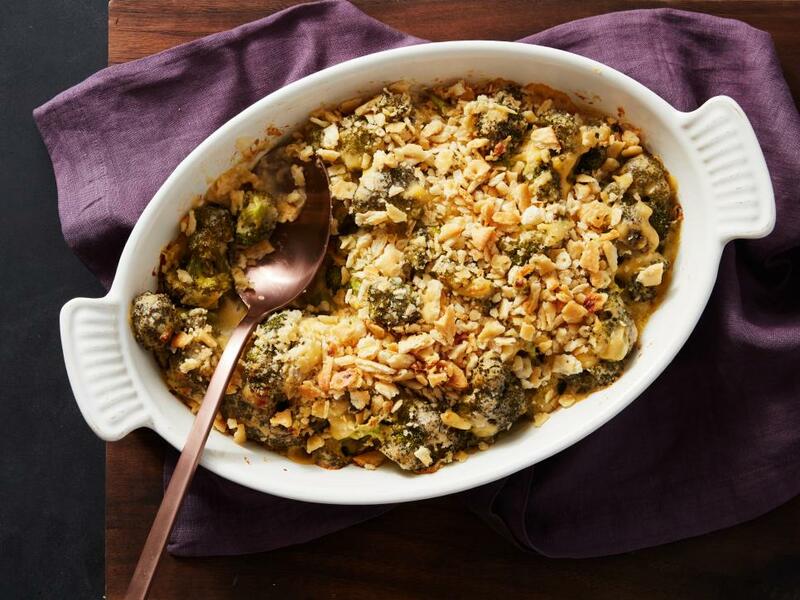 While we're sure that day-after-Thanksgiving meals throughout the states are abundant, Food Network fans from Arkansas appear to have grander plans for their turkey leftovers: both white and dark meat work well in this baked noodle casserole. 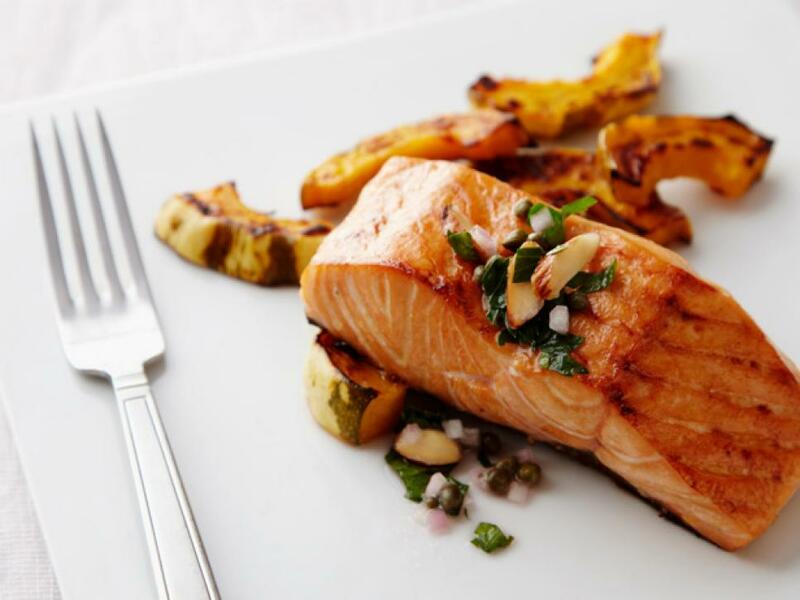 With its proximity to the Pacific Northwest's schools of seafood, it’s no wonder that Californians are searching for salmon as well as turkey for their Thanksgiving meal. 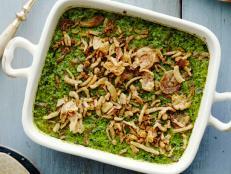 This large baked fillet is topped with a toasted almond and parsley salad -- who needs turkey? Coloradoans seem to like a little ham with (or maybe even instead of?) 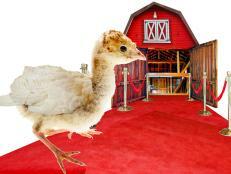 their turkey. 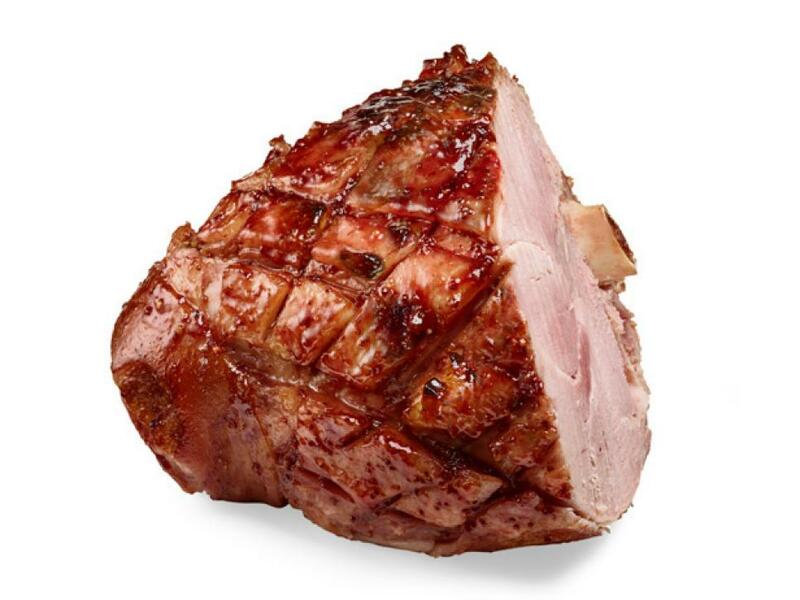 This top-searched glazed ham is sweet and tangy with a little bite from Dijon mustard. Maybe the Rocky Mountain state is onto something good here? 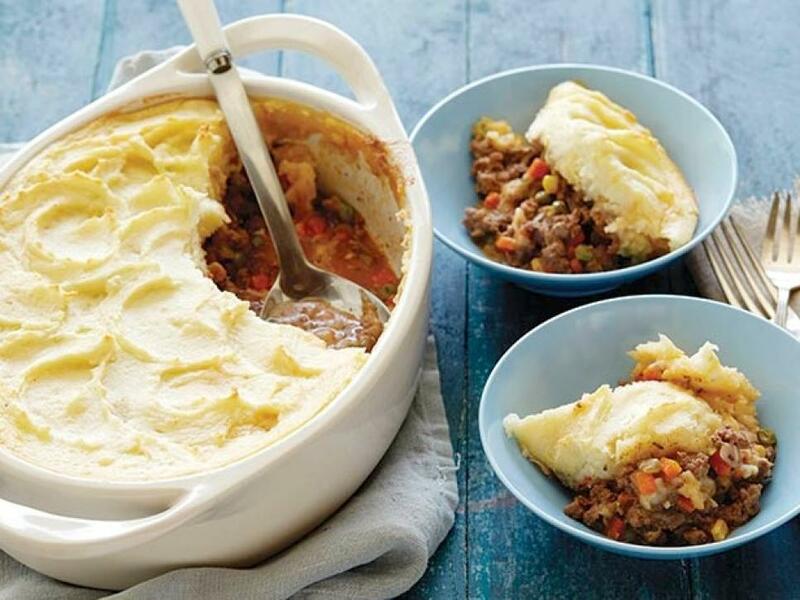 Topped with a layer of creamy potatoes and filled with lamb, peas and corn, this traditional Shepherd's pie was a popular search result from Connecticut. 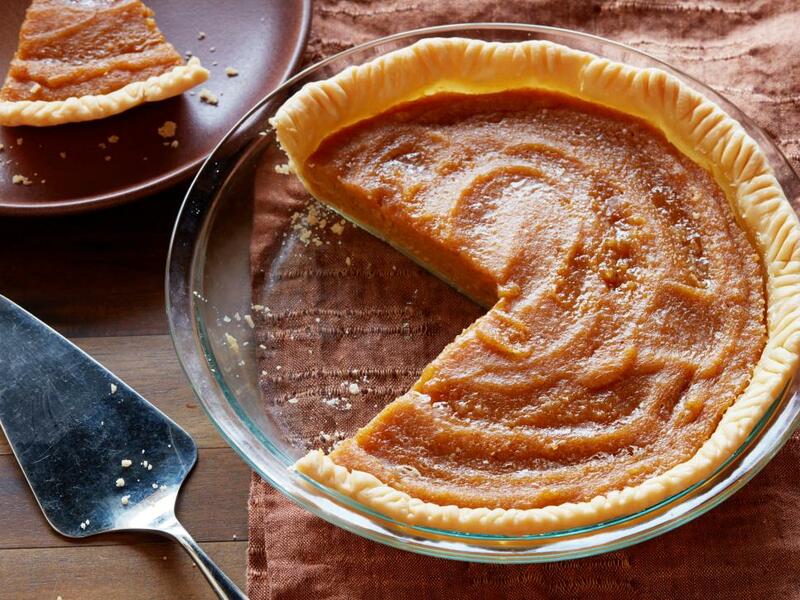 Perhaps residents of our 5th state make this hearty pie with their leftover mashed potatoes. 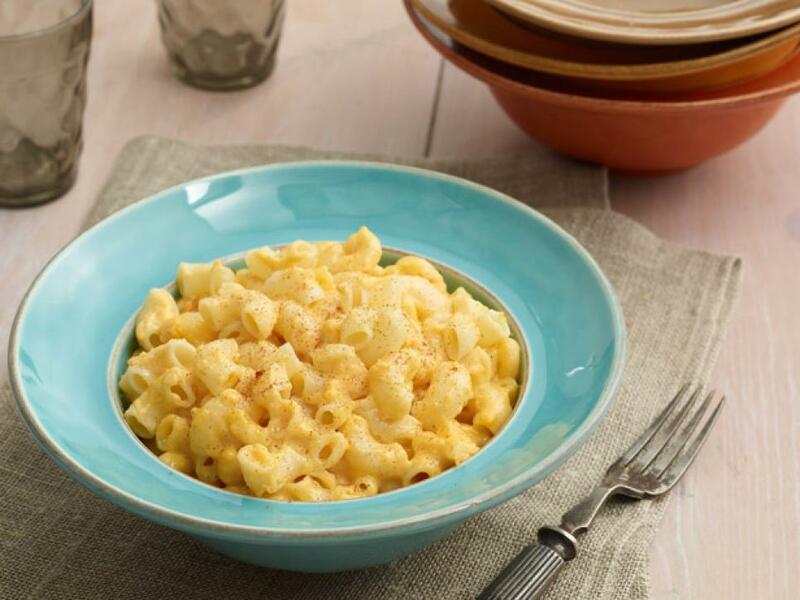 From inland to the sandy beaches of Delaware, residents from this mid-Atlantic state pulled out their slow cookers to make this goes-with-everything macaroni and cheese as a Thanksgiving side. Our nation's capital is in prime proximity to the East Coast's largest estuary with a variety of oysters just a stone's throw away. 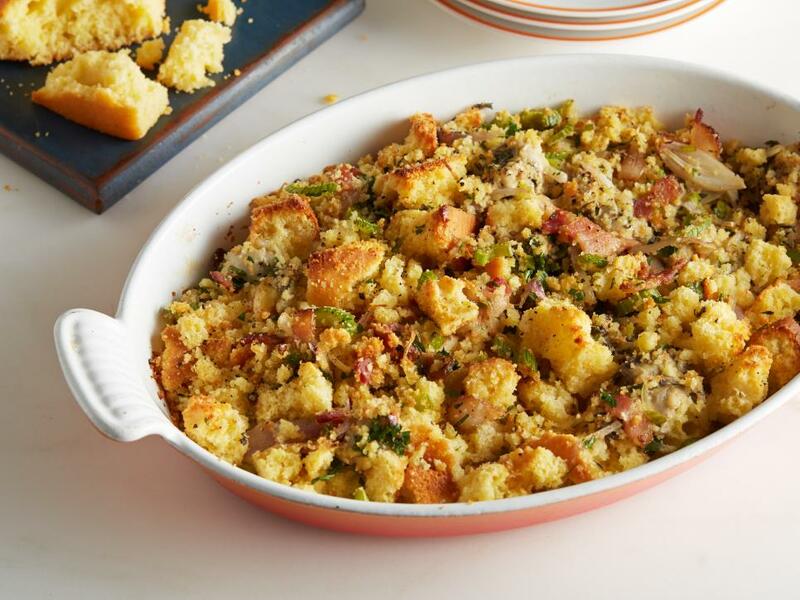 The plump and salty bivalves work nicely in this cornbread stuffing. Floridians take advantage of their shorts-year-round temperatures and fry their birds outdoors. 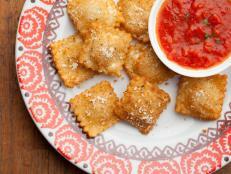 They came to Food Network for this version made with a simple salt-and-brown-sugar brine. 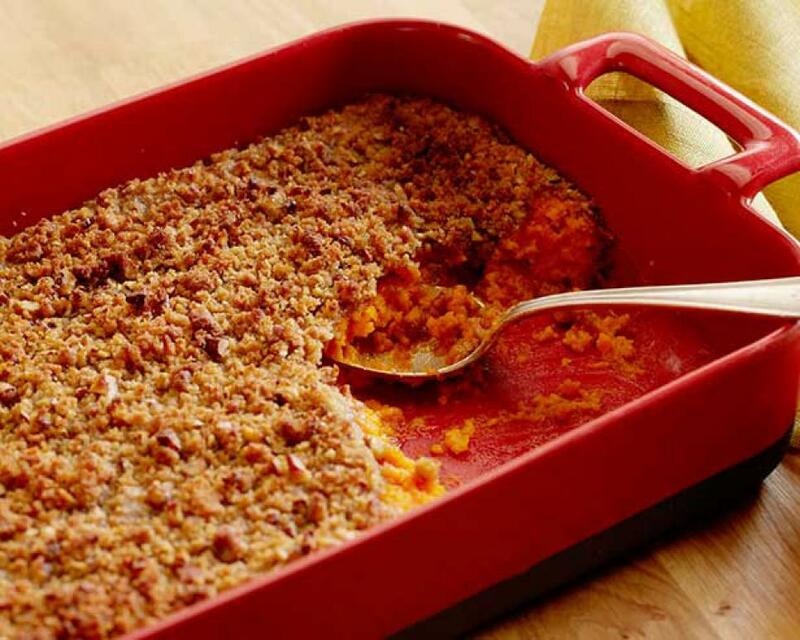 Sweet potato crops thrive in warm weather, so it’s no surprise that Georgians gravitated to this casserole. 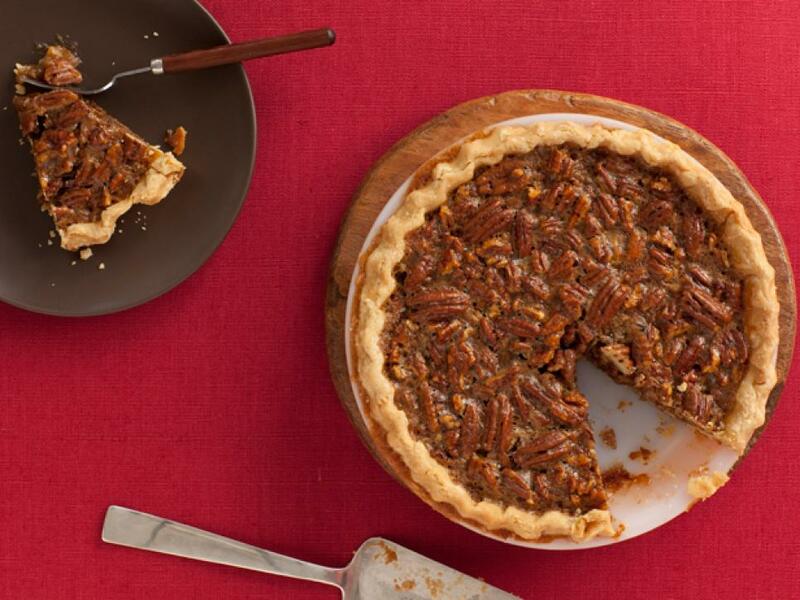 It has a crunchy topping featuring another of the state's popular harvests -- pecans! 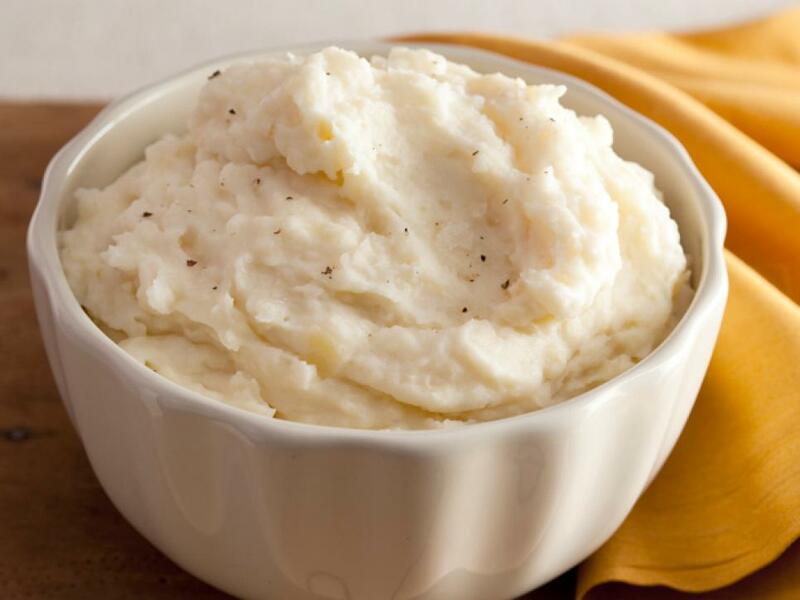 When it comes to Thanksgiving mashed potatoes, Hawaiians aren't afraid of garlic -- this recipe is packed with six cloves! 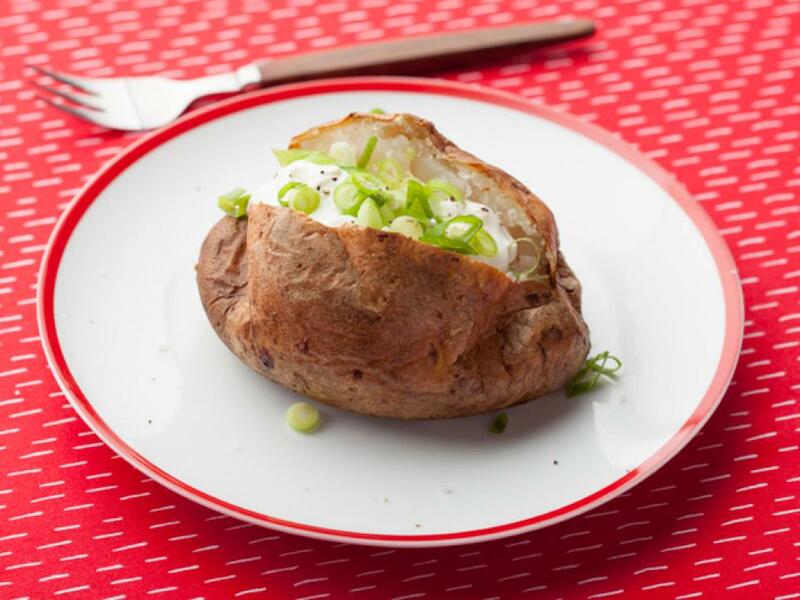 It's only fitting that residents from Idaho are in search of the perfect baked potato -- a vegetable that has become synonymous with the Gem State. 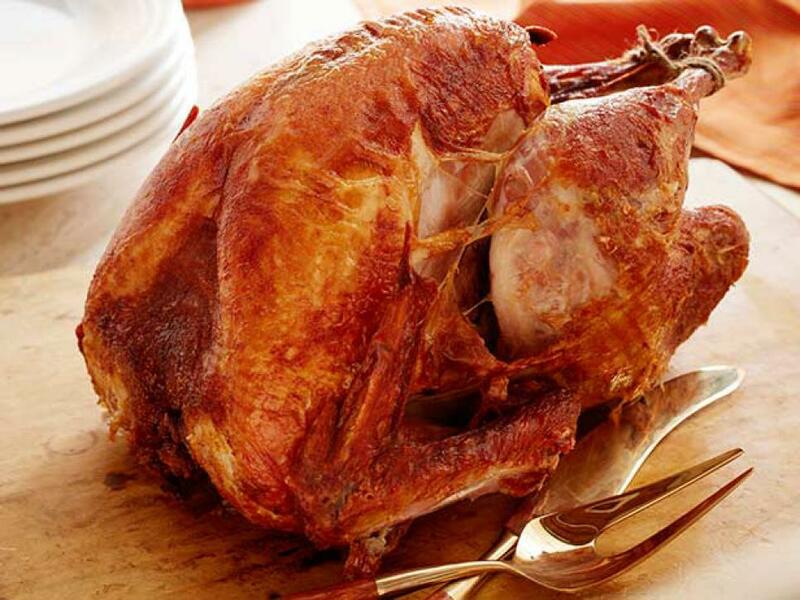 Here it's served it in its purest form for Thanksgiving dinner. 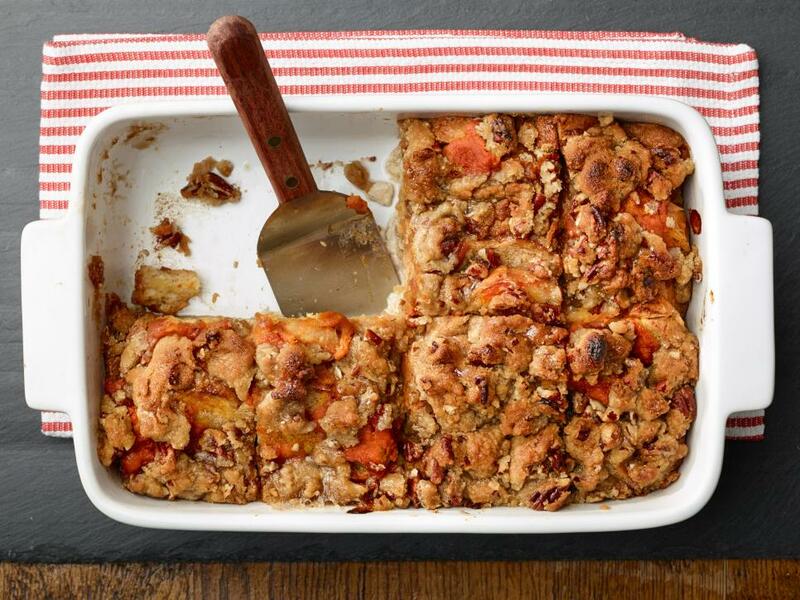 This autumnal breakfast casserole can be made the night before and then baked and served the next morning. It's the perfect start to a festive day in the Land of Lincoln. Hoosiers are making room for corn in their Thanksgiving spread. 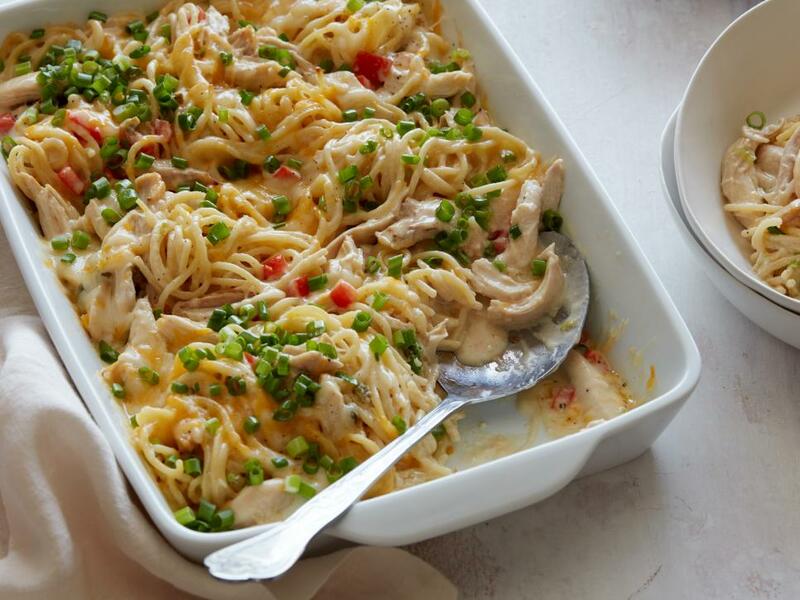 This creamy casserole is enriched with Cheddar and cream cheese. These bars are dense, cakey and packed with pumpkin -- a great alternative to pie that’s in demand in the Hawkeye state. 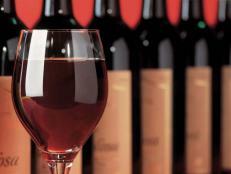 There's still room for a dog-eared retro recipe at a Kansas holiday meal. 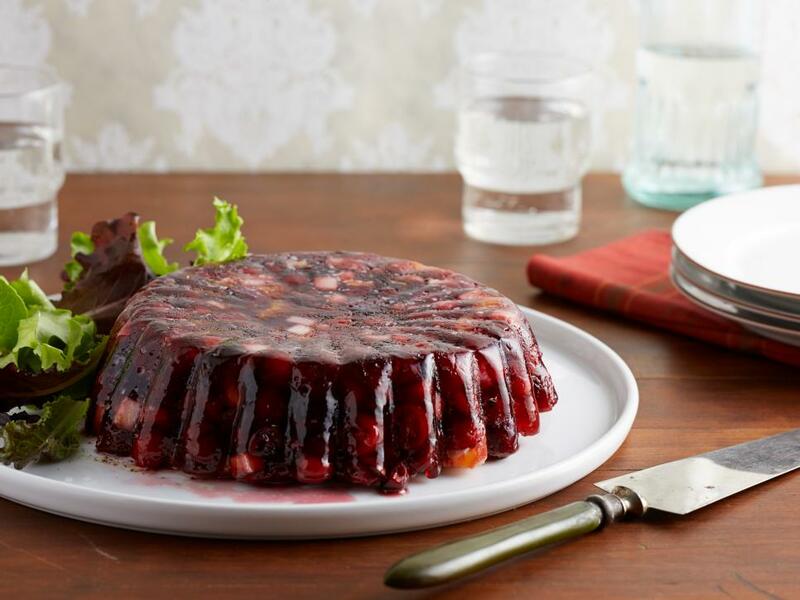 This strawberry gelatin mold is packed with cranberries, pineapple and nuts and is the perfect way to hold onto tradition. 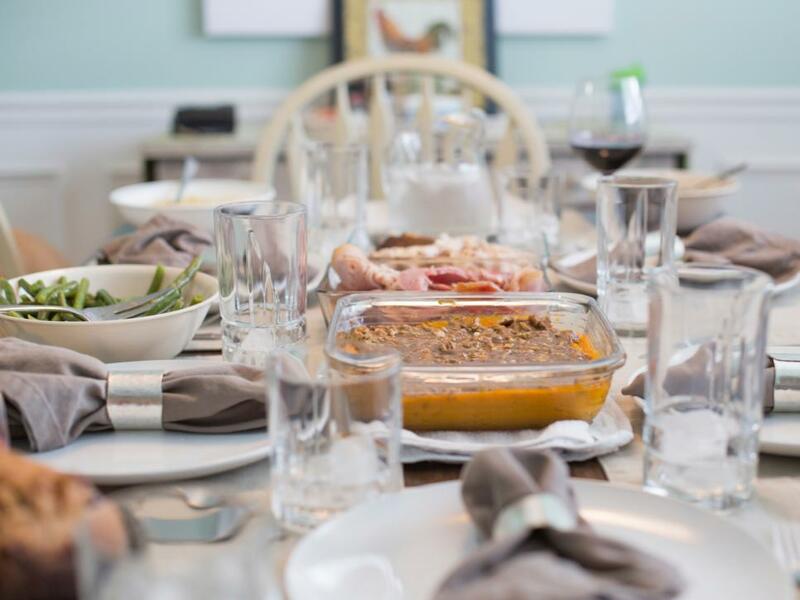 Transforming Thanksgiving leftovers is one of the best parts of the holiday and residents of the Bluegrass State know it! 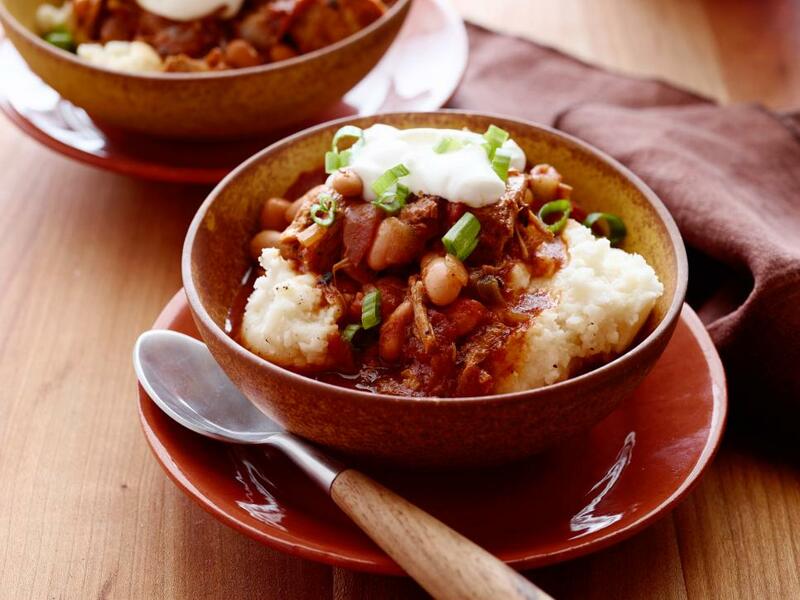 This spicy chili is the ideal home for any turkey that wasn't devoured at the big feast. 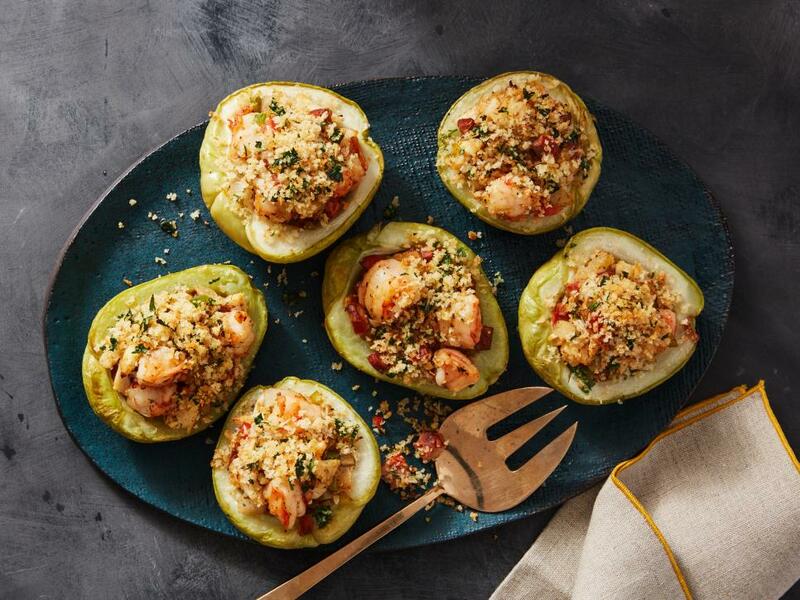 Louisianans love their mirliton -- also known as chayote in Mexico -- a green, bumpy pear-shaped gourd that grows on vines throughout New Orleans. The dish gets a special-occasion upgrade with crabmeat and andouille in this version, ideal for a Thanksgiving Day spread. 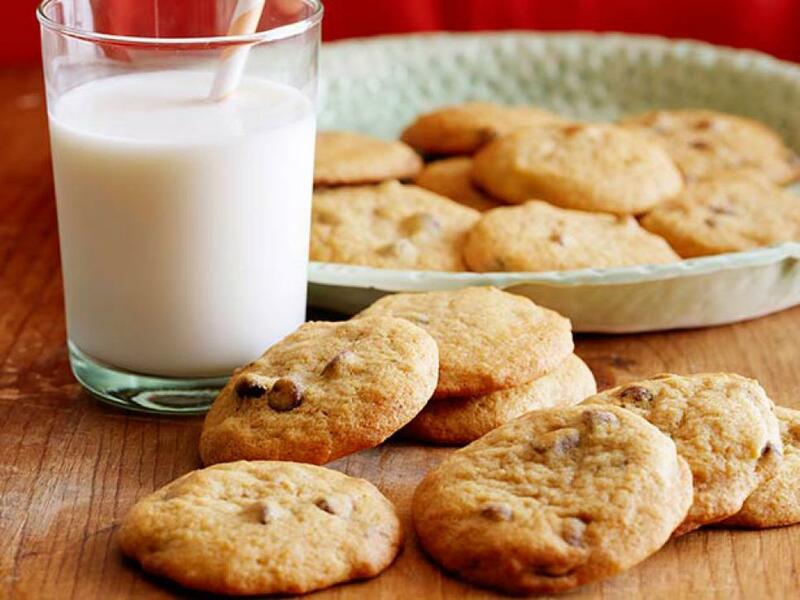 Maine residents know a good cookie when they see one. The state is home to the whoopie pie -- the beloved marshmallow- or cream-filled cookie sandwich. 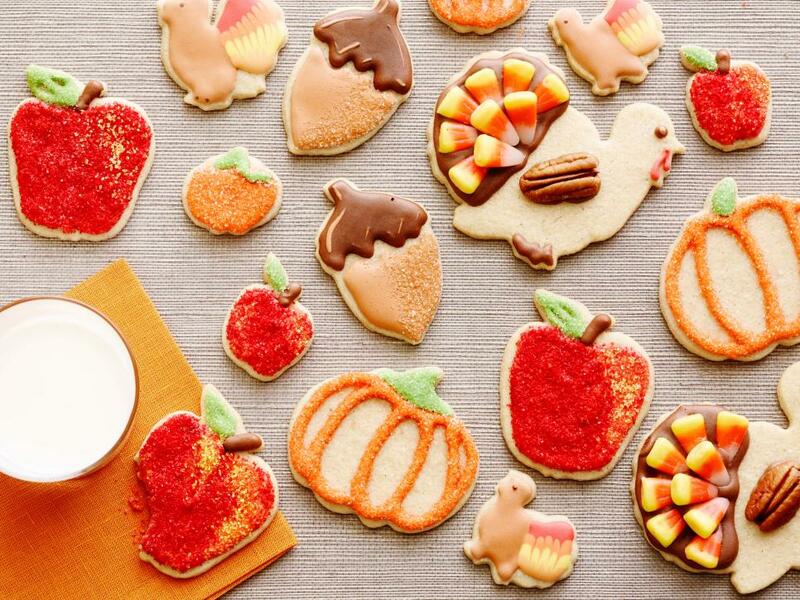 So, it's no surprise that these soft pumpkin and chocolate cookies were a top Thanksgiving search. 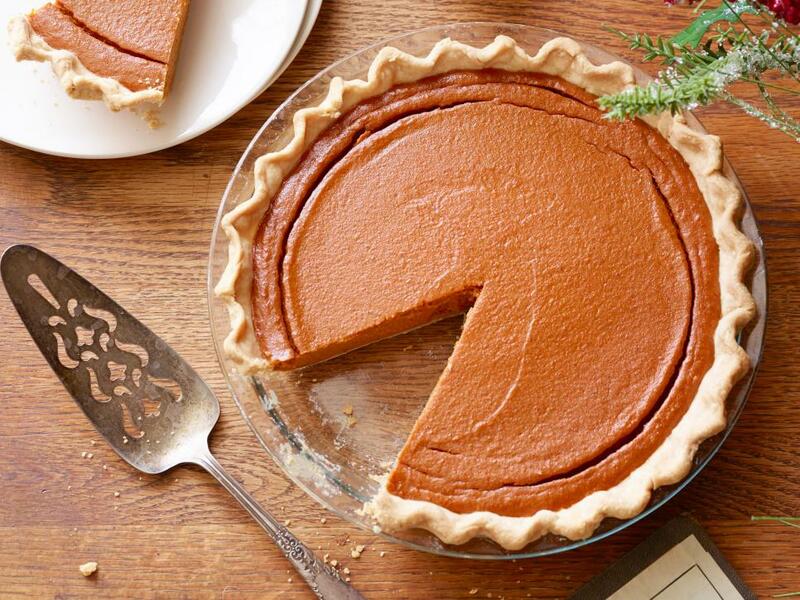 Pumpkin pie may have some Thanksgiving competition in Maryland. 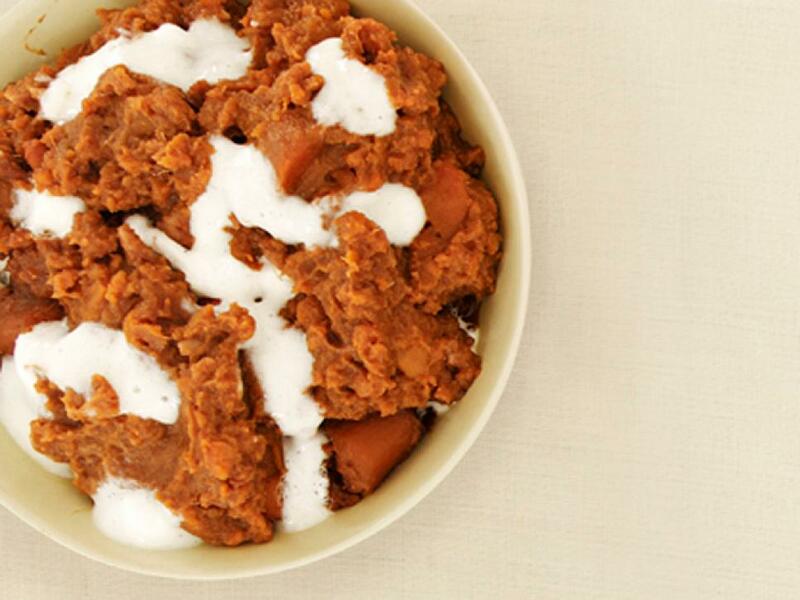 This creamy dessert starts with roasted and mashed sweet potatoes for the filling. Maple whipped cream is the perfect topping. 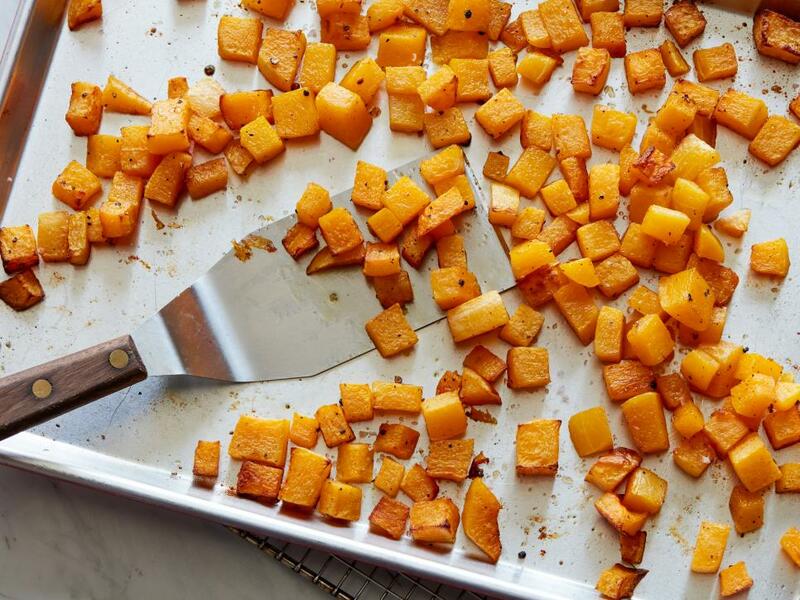 From Boston to the Berkshires, people from this New England state came to Food Network for a super simple butternut squash side dish that sweetly caramelizes as it roasts. 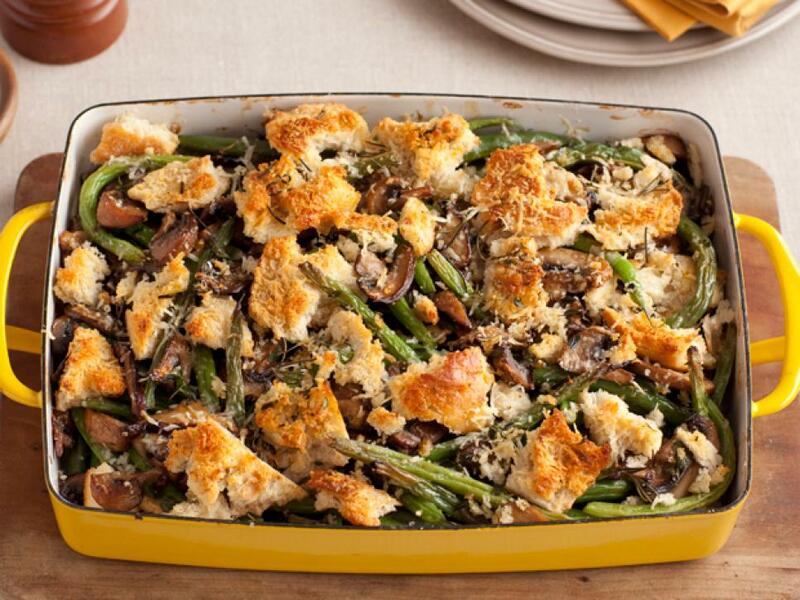 Michigan residents have found the ultimate comfort food casserole for Thanksgiving. Instead of reaching for a can of soup, they opted to make a creamy mushroom sauce from scratch using Tyler’s recipe. The Land of 10,000 Lakes isn’t shy about sprucing up its stuffing. This one is packed with apples, Italian sausage and cranberries, though we wouldn't be surprised if some residents also stirred in a handful of cooked wild rice -- a crop grown throughout the state. Some Mississippians might argue that pecan pie is more important than the Thanksgiving turkey, thanks to the plentiful pecan orchards that pepper the state's landscape. 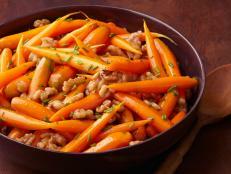 So it makes sense that residents flocked to this popular Food Network Kitchen recipe that's packed with nuts and a splash of bourbon. 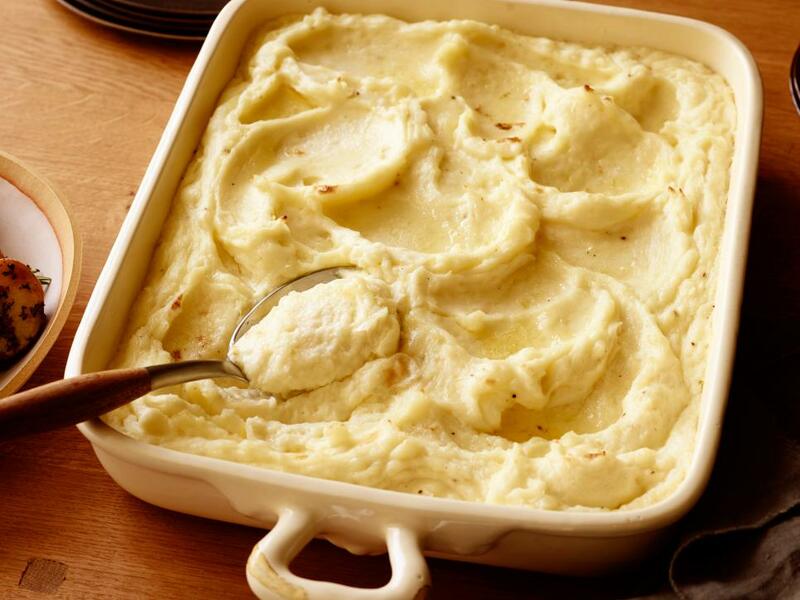 Residents in the Show-Me State have opened our eyes to triple-dairy mashed potatoes. These uber-creamy spuds have a decadnent trio of cream cheese, half-and-half and cream. This seasonal cheesecake – inspired by a popular restaurant recipe – has a place on many Thanksgiving dessert spreads in Montana. 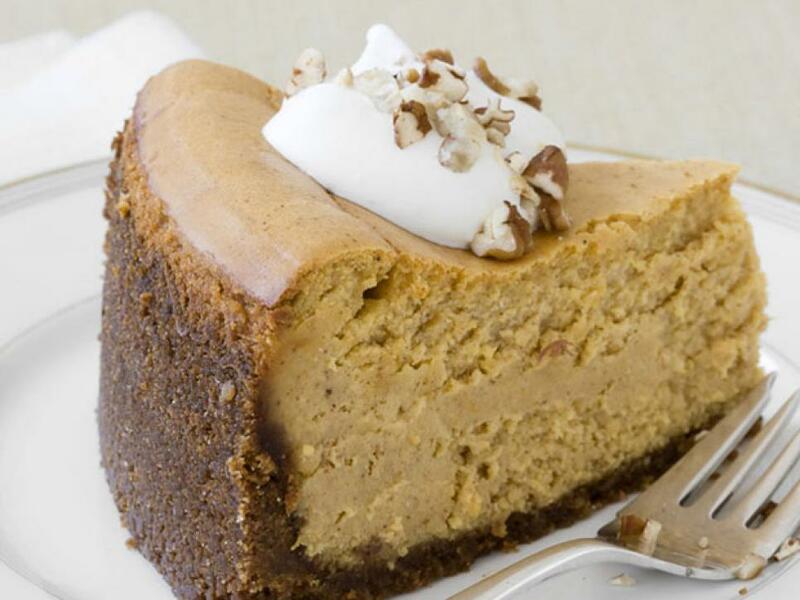 Since there are no Cheesecake Factory outposts in the state, perhaps residents are making it at home to get a taste. The Corn Husker State lives up to its name even today: Corn is still the most widely grown crop in Nebraska. 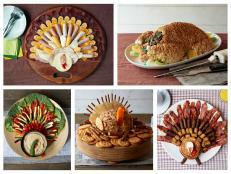 The vegetable appears in many forms on the Thanksgiving table. 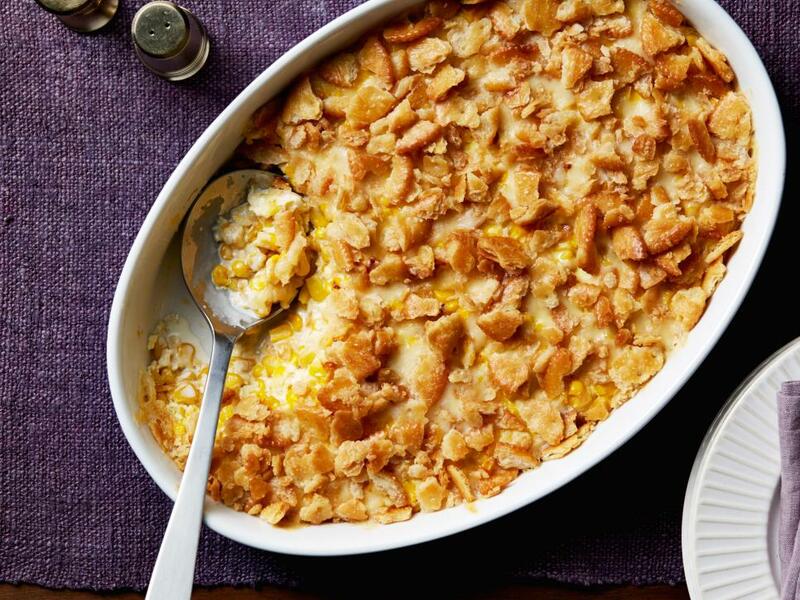 Here, it's baked into a creamy casserole with a buttery cracker topping. 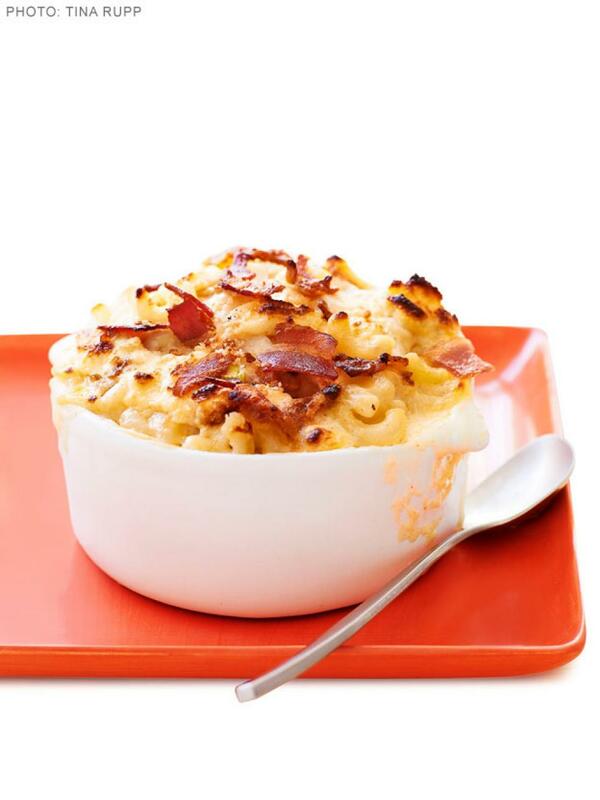 As over-the-top as the state's most famous city, this Thanksgiving mac and cheese has the equivalent of Las Vegas's bright lights with showy ingredients like creamy Asiago cheese and crumbled bacon. When your state's motto is Live Free or Die, you might expect some pretty extreme recipes for Thanksgiving. 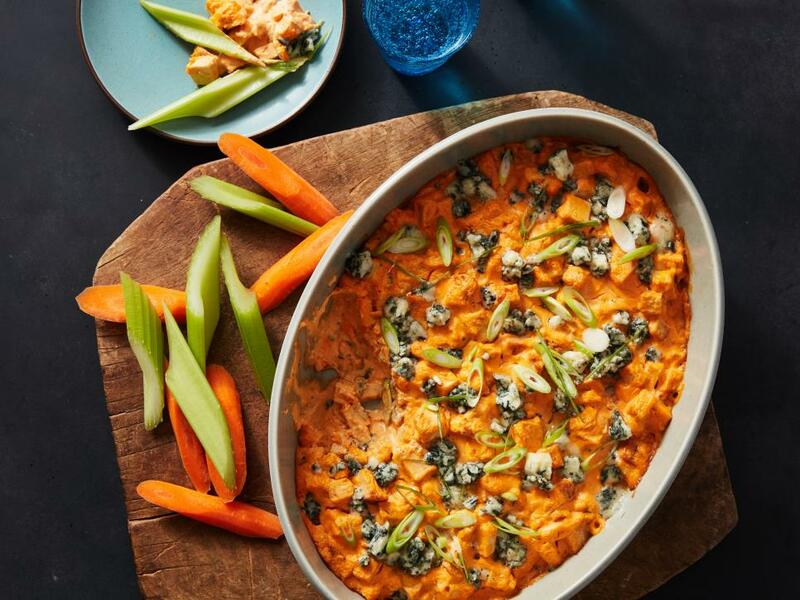 This spicy and creamy dip doesn’t disappoint -- it's a delicious way to make over leftover roasted turkey. 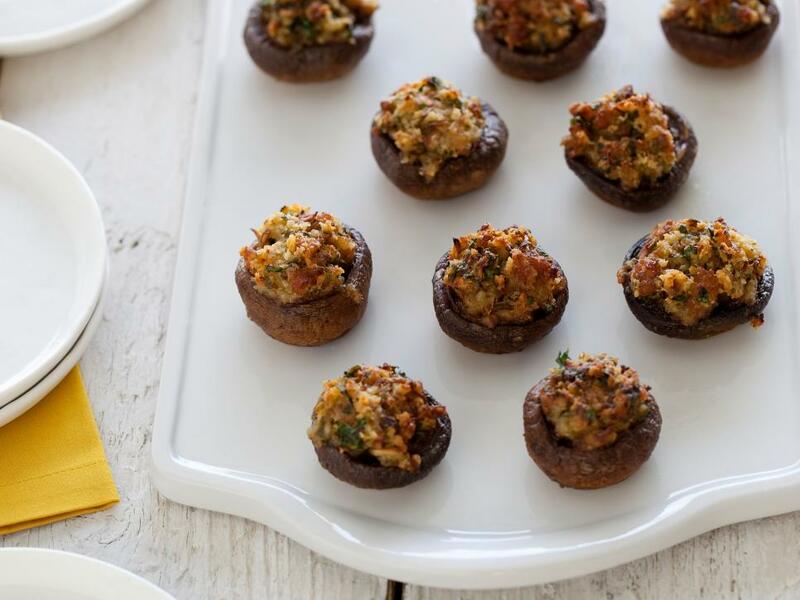 New Jersey residents know a thing or two about Italian-American food, as these mushroom caps stuffed with sausage, mascarpone and Parmesan make clear. 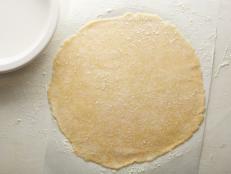 New Mexicans have shown us a whole new way to love lard -- and it's not in pie dough! These crispy Santa Fe-born cookies are scented with anise and cinnamon and are just right with coffee or tea after a big holiday meal. 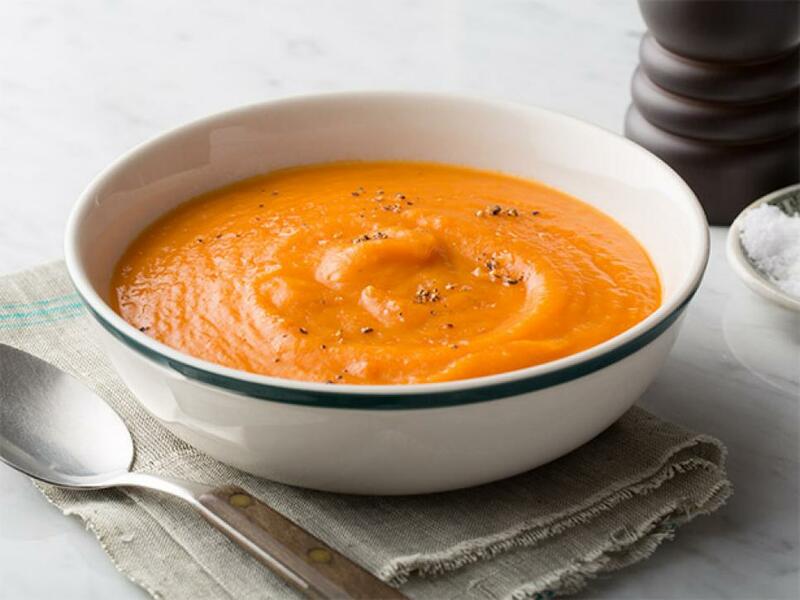 For residents in the Empire State who like to start their Thanksgiving meal off with a first course, this creamy squash soup has a nice touch of acidity thanks to canned tomatoes and a little balsamic vinegar. It wouldn’t be a Thanksgiving meal in the Tar Heel State without some seasoning meat -- humble cuts (usually pork) that have been salted, smoked or ground into sausage. 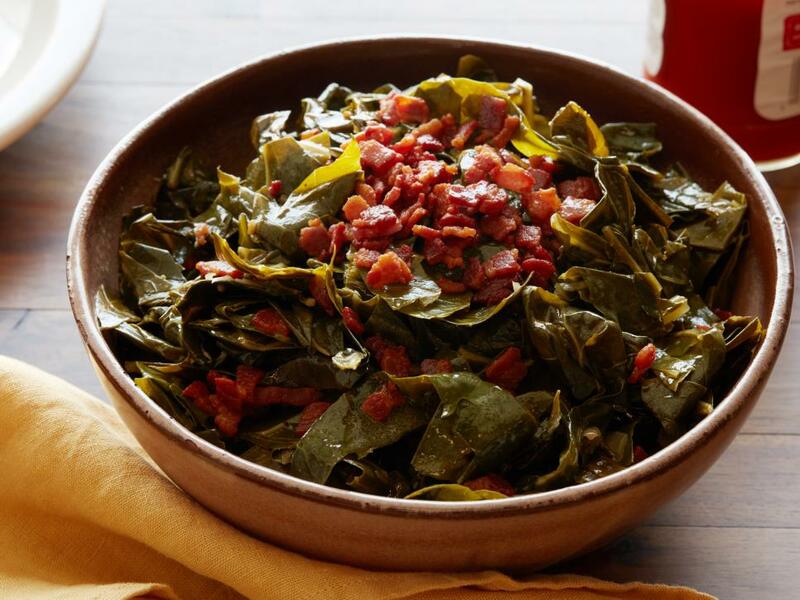 Consider the salt pork in these slow-braised greens as a condiment packed with meaty flavor. Nothing goes to waste in the Great Plains. 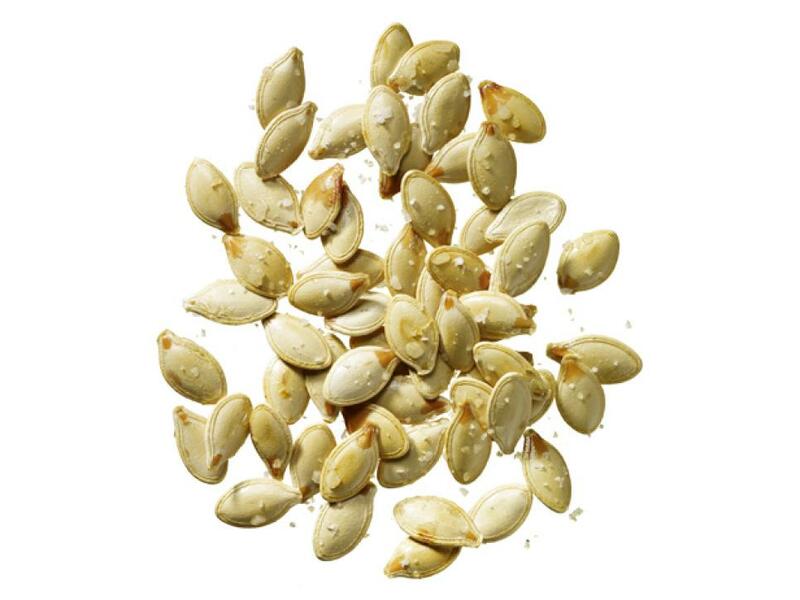 Food Network fans from North Dakota are hanging onto their pumpkin seeds and roasting them. 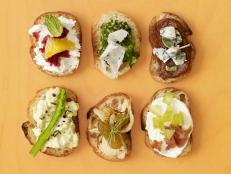 They're nice for snacking while you prep the rest of your Thanksgiving meal, or sprinkle them in a salad or over soup. Ohioans know that basic doesn't mean boring. 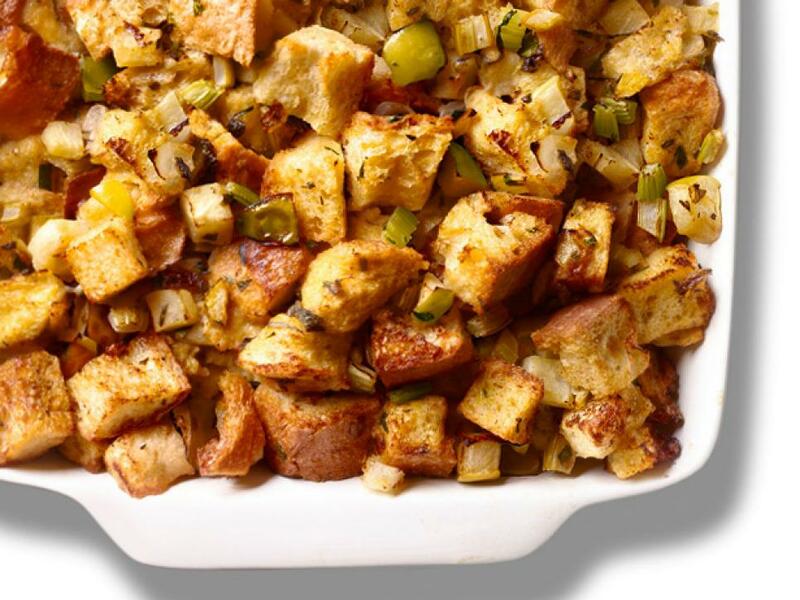 This simple stuffing is packed with fresh ingredients like apples, sage, thyme and parsley. The residents of Oklahoma searched for this puffy fried Mexican dough and cheesecake mash-up and it's something to be thankful for, indeed. 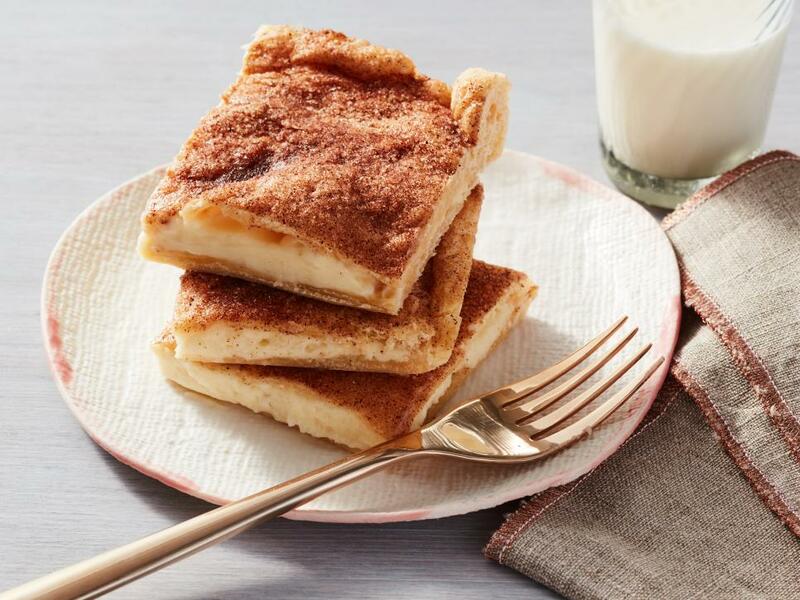 A sweet and tangy creamy center is sandwiched between two layers of crispy cinnamon-sugar pastry. Making the most of Thanksgiving scraps, Oregon residents saved their turkey carcasses to make this wholesome day-after soup. Food Network fans came to us for their Pennsylvania Dutch fix and these sweet and spicy spuds don’t disappoint. Melted marshmallows add extra sticky sweetness. Residents in our smallest state leave room for broccoli on their Thanksgiving table. 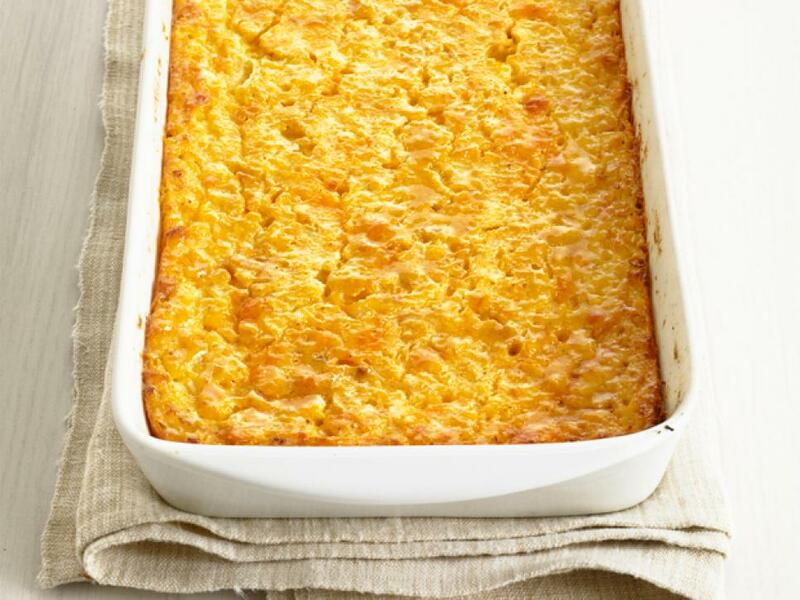 This cheesy casserole with a buttery cracker topping is worthy of the holiday meal. 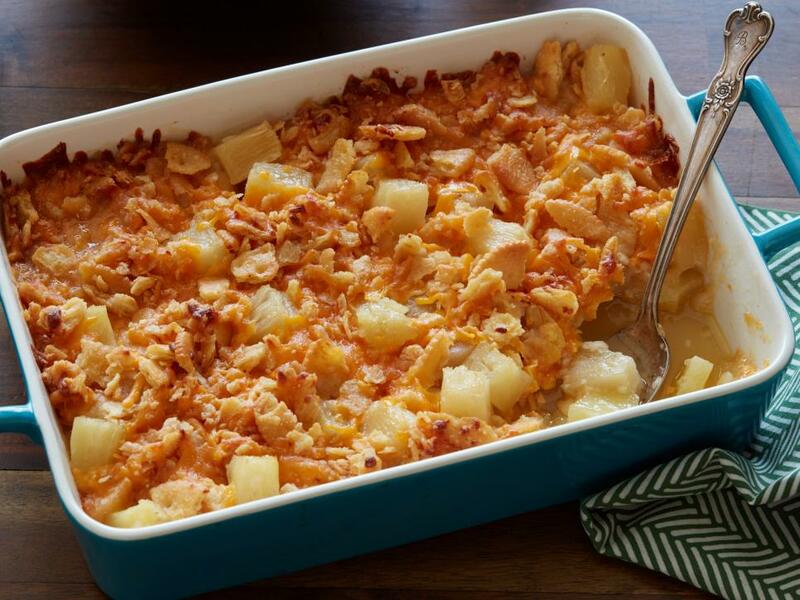 If you're a fan of their mustard barbecue, then you can trust that residents of the Palmetto State are onto something with this unique holiday casserole. 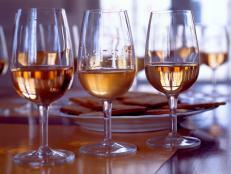 A mixture of sweet pineapple and sharp Cheddar, it is finished with a buttery cracker topping and baked until bubbly. We applaud our fans from the home of Mount Rushmore--their dedication to one of Thanksgiving's most beloved desserts is impressive. 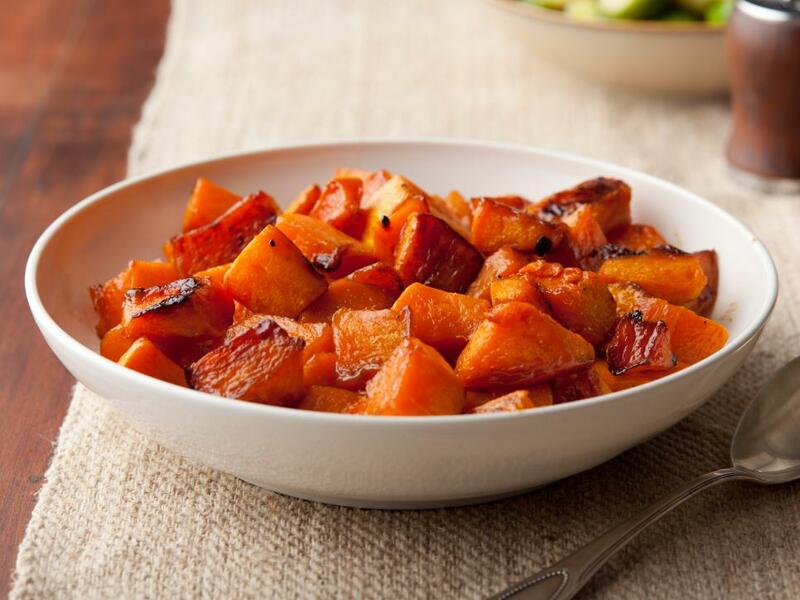 This recipe passes on the canned stuff and goes straight to the source -- roasting and pureeing a fresh pumpkin for the filling. Thanksgiving gatherings in Tennessee get off to a great start. 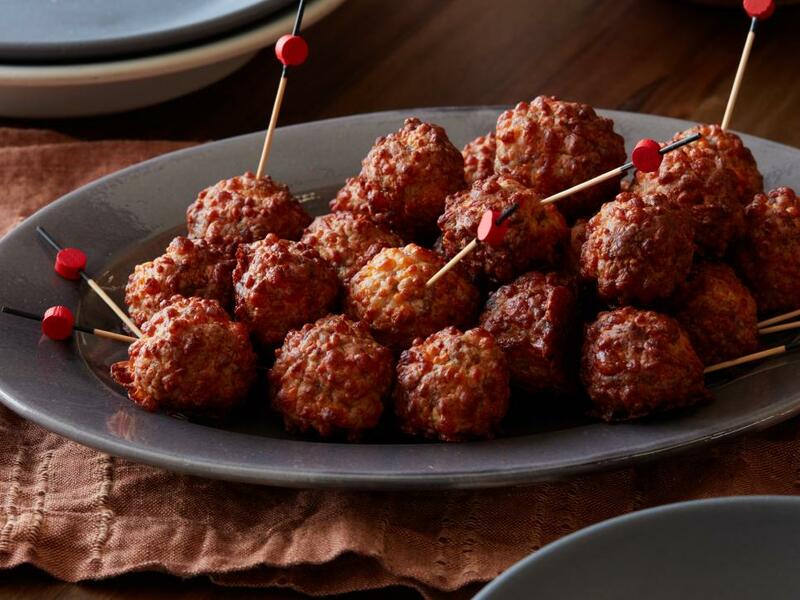 These one-bite appetizers are like a Southern meatball and a fun beginning to a festive meal. 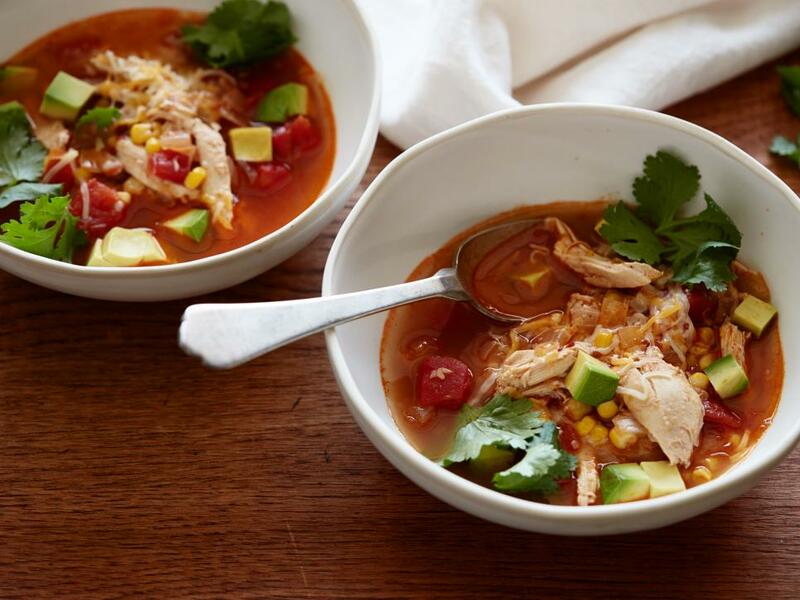 Everything is bigger in Texas, and our fans from the Lone Star State serve up their leftover turkey with big flavor in this Tex-Mex inspired soup. 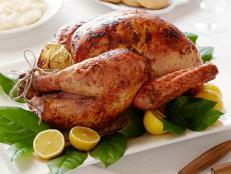 Food Network fans from Utah came to us for a turkey fit for a Thanksgiving purist. 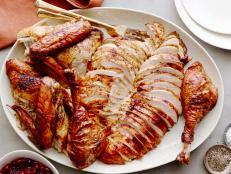 This brined bird is a custom match for all the traditional sides of a holiday feast. There's too much to do outdoors in this state of covered bridges and scenic woodlands. Perhaps that's why Vermonters were drawn to this simple Thanksgiving side that has minimal prep. 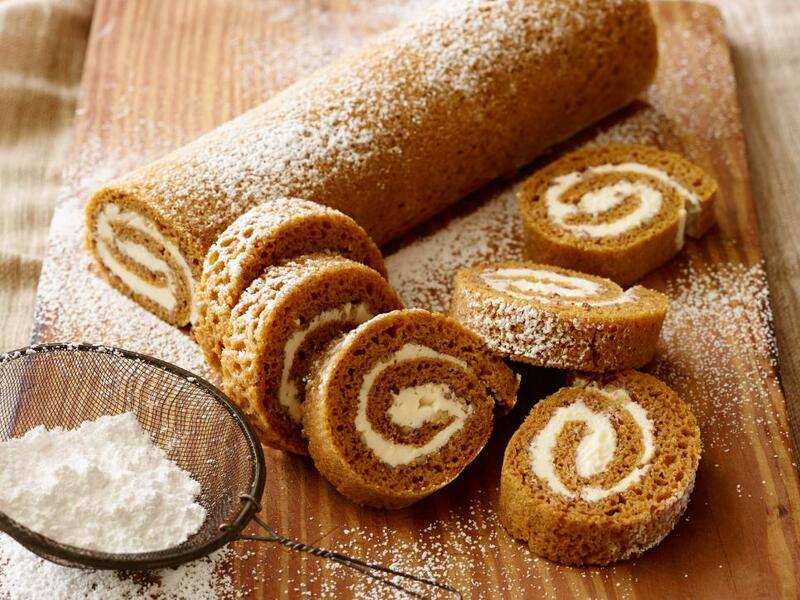 It's great with a drizzle of some of that local maple syrup, too. 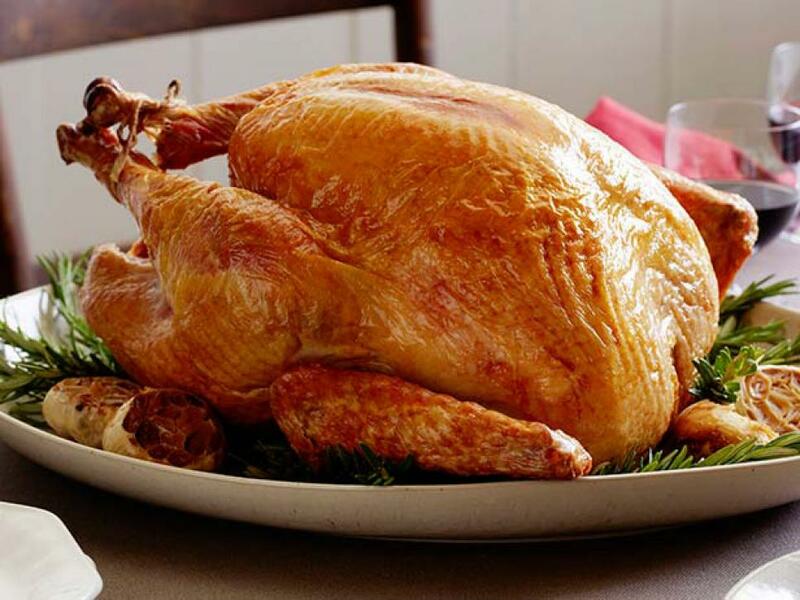 Virginians have found the secret to no-fuss turkey brining. 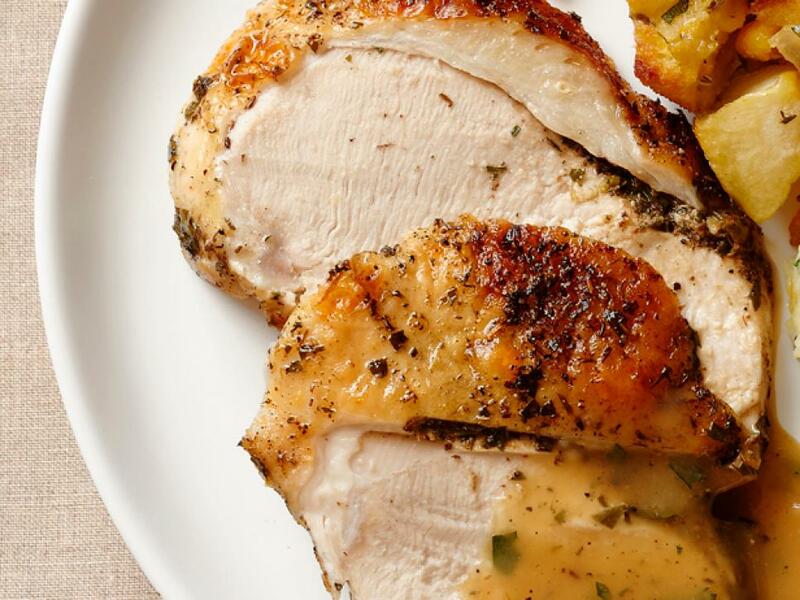 They opted to skip submerging their bird in a giant pot filled with seasoned water and instead get the same flavor-infused results with a simple rub of salt, sugar and pepper. Could it be that Seattle dwellers' affinity for good coffee has spread throughout this Pacific Northwest State? 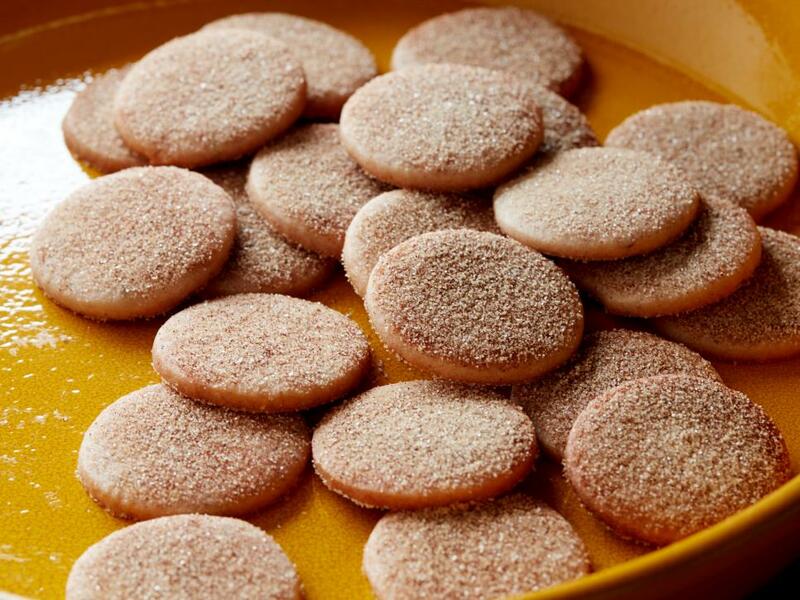 These spiced cookies are the perfect treat to go with an after-dinner hot beverage. West Virginians came to Food Network in search of an alternative to Thanksgiving pie and found this tangy-sweet spiraled dessert. 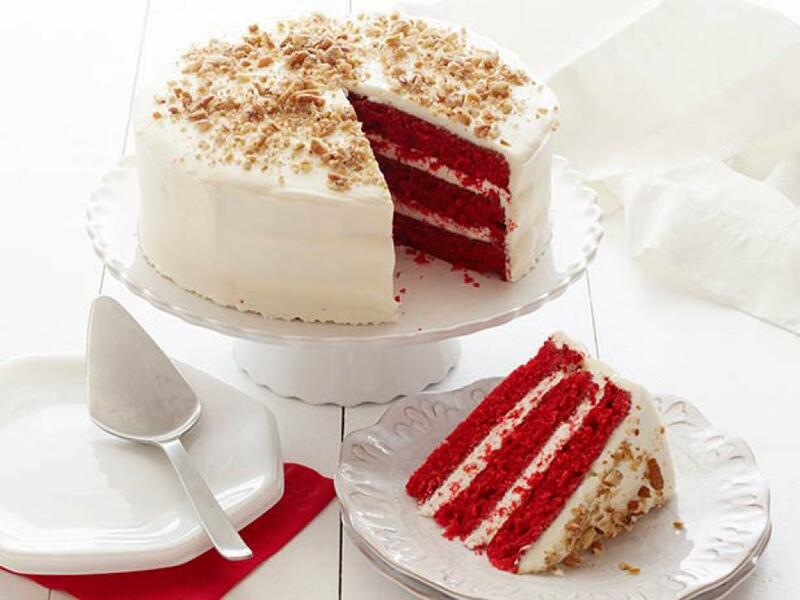 It can be made ahead and frozen -- one less thing to worry about on the big day! Midwesterners in the land of dairy know that good ingredients can elevate even the simplest recipe. 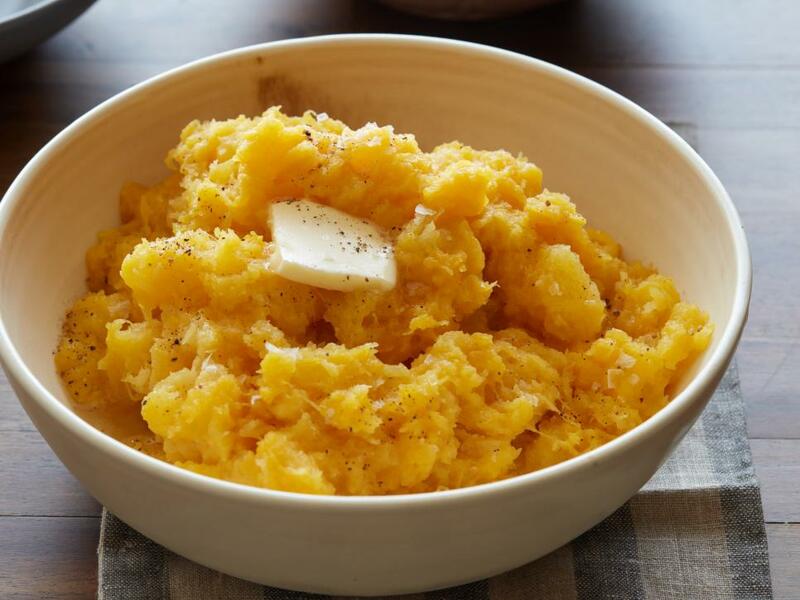 This baked and mashed squash side is super easy and even better with an extra helping of local Wisconsin butter. We're impressed with the dedication of Food Network fans in the Cowboy State when it comes to perfecting their Thanksgiving dessert spread. 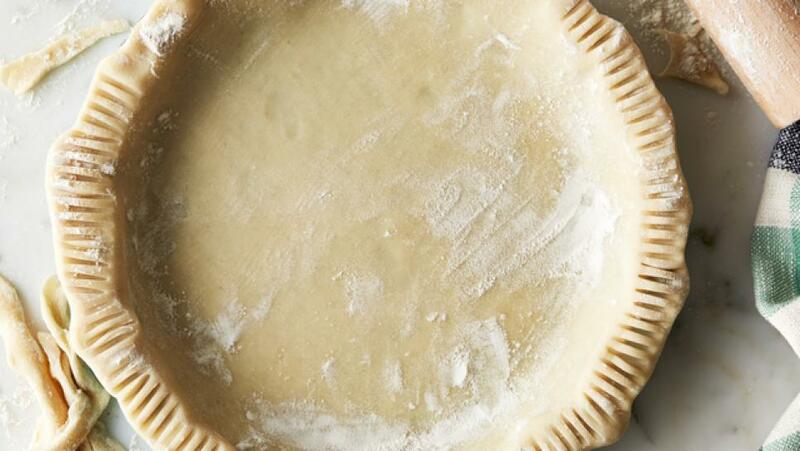 This buttery dough is ideal for a double-crust apple pie.